The Hamilton Tiger-Cats announced Friday that the football club has acquired international wide receiver Ricky Collins Jr. and a seventh round pick in the 2018 CFL Draft from the Saskatchewan Roughriders in exchange for international defensive end Mike McAdoo and a sixth round pick in the 2018 CFL Draft. Collins Jr., 25, has appeared in 15 games with the Roughriders over the last two seasons (2016-17), posting 48 receptions for 720 yards and two touchdowns. He also returned eight kickoffs for 151 yards (18.9 average) and five punts for 42 yards (8.4 average). 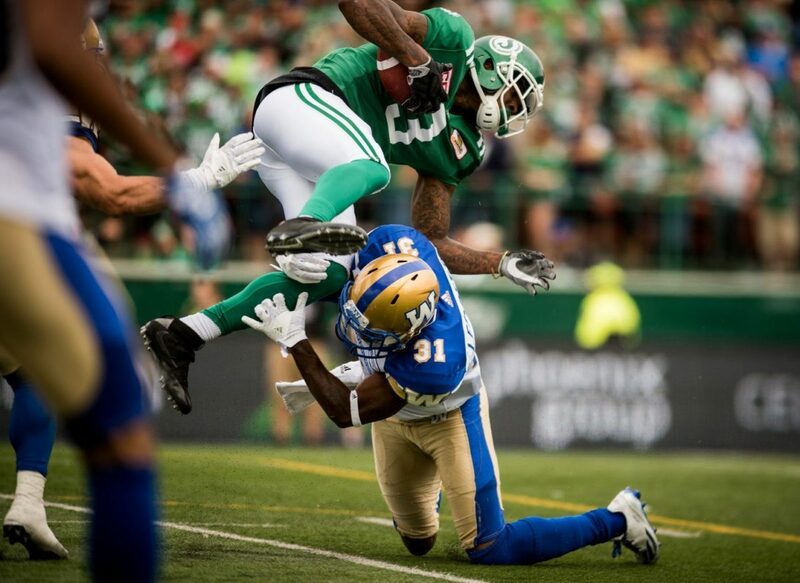 Prior to joining the Roughriders, Collins Jr. had a brief stint with the Winnipeg Blue Bombers in 2016 and spent time with the National Football League’s Green Bay Packers in 2015. The 6-0, 198-pound native of Tyler, Texas, played two seasons at Texas A&M-Commerce (2013-14), registering 1,187 yards on 64 receptions with 14 touchdowns, and was named a 2014 All-Lone Conference and D2Football.com All American. He also played five games at Midwestern State in 2012 after two seasons at Kilgore Junior College (2010-11) where he earned 2011 First-Team All-Southwestern Junior College Football Conference honours.